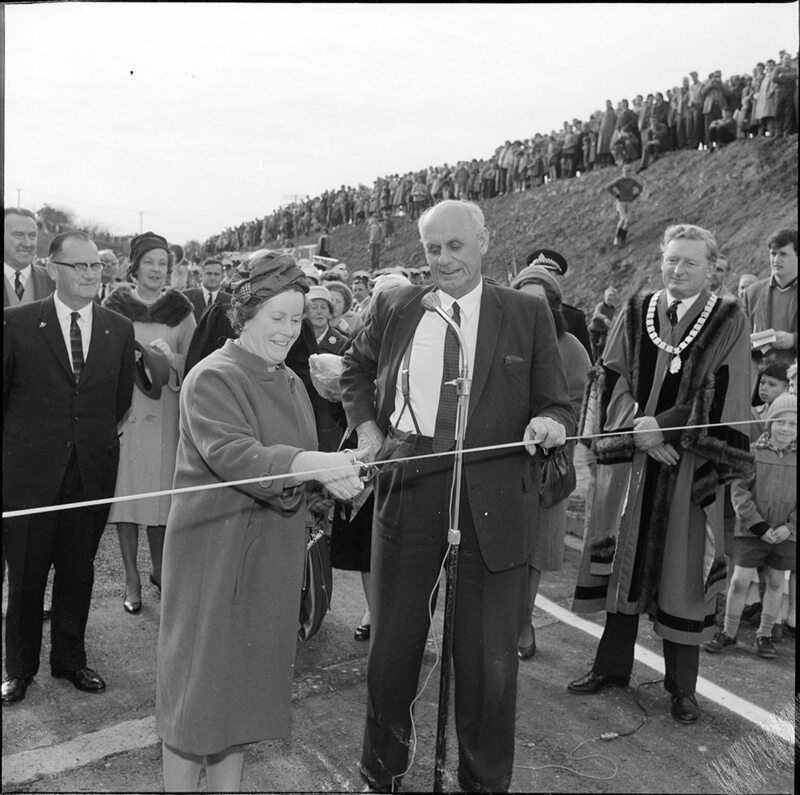 A huge crowd turned out to see local MP’s wife Mrs Adams-Schneider cut the ribbon on the Cobham Bridge. The chap in the chains is Mayor Dr Denis Rogers. The tall fellow in the braces is the Minister of Works, Stan Goosman. Were you there that day? Was it as exciting as it looks?